Post-Bop saxophone Jazz with a Taiwanese flavor. Straight ahead Jazz mixed with a strong influence of Taiwanese traditional music. 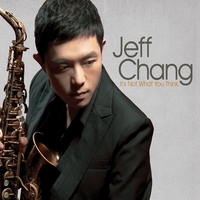 This album represents Jeff Chang's life journey, a Taiwanese-American Jazz saxophonist who was born in Taiwan but took on the American Jazz at the age of 16 when he moved to the United States. Exciting and moving, this is not your typical Jazz saxophone album, it's a collection of beautiful songs and a musician's life journey.